In the style of J Arthur Dixon, originally uploaded by ccgd. 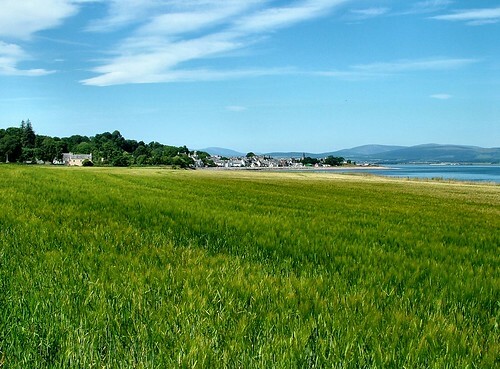 A view of Cromarty from the South West, looking over fields of ripening barley. This shot, and the deliberate colouring, is in homage to the Highlands and Islands Postcards of J Arthur Dixon - Isle of Wight and Inverness. They produced the vast majority all the postcards sold in the Highlands during the 60's, 70's and 80's, and almost all their shots had a bright, over-saturated feel. 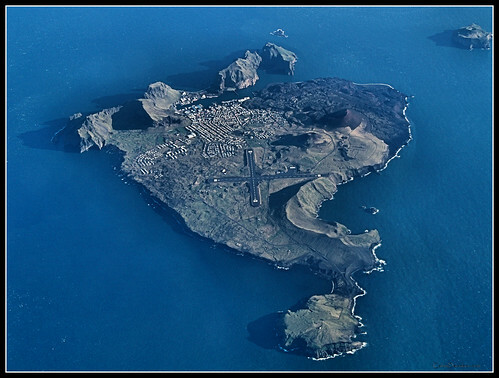 A town a harbour and a volcano - Iceland, originally uploaded by ccgd. The skies over Ross-shire have been very quiet the last few days. Although Cromarty is an hours drive from Inverness Airport, we are on the flight path for planes from the North and West, so a Loganair Saab flying through the "Cromarty gap" is so common that you never notice it. Until they are not there. It's also the absence of noise. On a still day you could here the jets at Inverness Airport quite clearly, particularly early in the morning. The old Dan Air BAC 1-11's were quite loud, then the BA early 737's. Now its Fly-Be quiet planes on the early morning runs to London, and you need to be about and about to hear them. So the Iceland Volcano has I suppose another side. The first time I heard of Iceland having Volcanoes was in the early 70's when the eruption that almost destroyed the town of Vestmannaejyar was all over the news. The crater can be clearly seen to the north east of the town, in this shot I took on a trip to Iceland a couple of years ago. Its all part of the same Volcanic fault line that is giving us the current problems. Who knows, but I'm supposed to be in the States in a couple of weeks so lets wait and see. Straight from the camera, originally uploaded by ccgd. 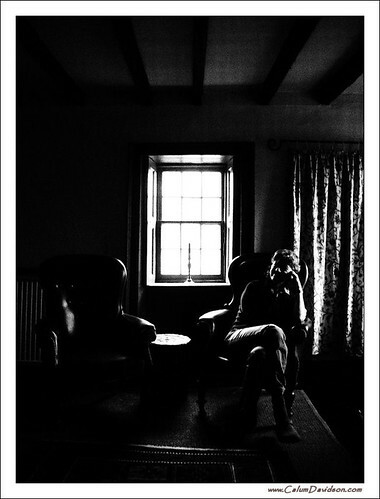 Ruth, lit by the light from the East facing window in our Sitting room. A first shot with my new camera - I splashed some Getty earnings on a new Olympus E-30, the second top of the range DSLR that Olympus produce. It does not have the Magnesium body of the E-3, but otherwise is as. It has a pile of built in Camera features to the processing engine, that everyone scoffs at - except when you try them.